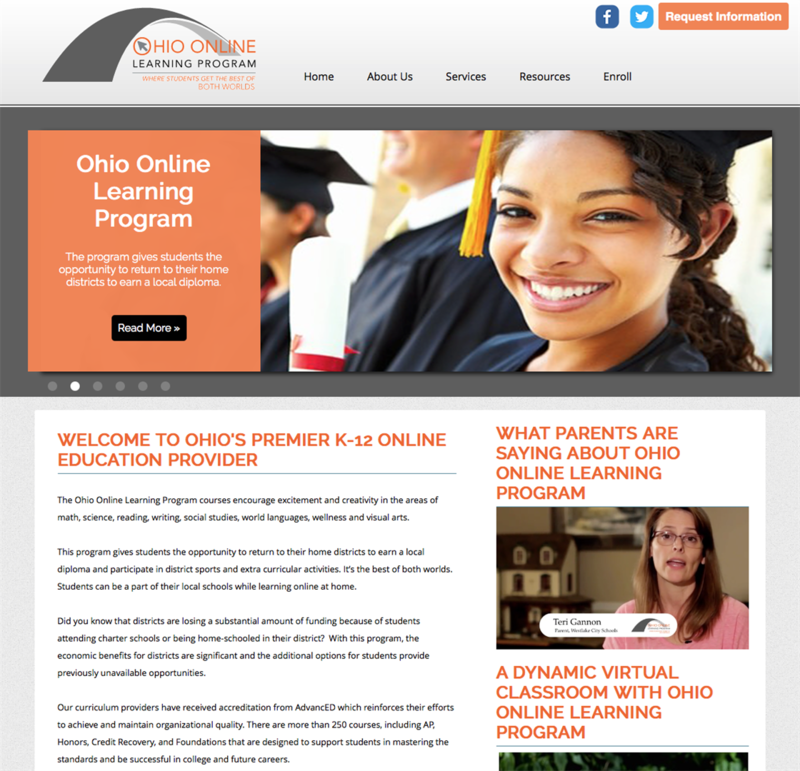 Founded in 2012, the Ohio Online Learning Program is provided through the Educational Service Center (ESC) of Northeast Ohio located in Independence, Ohio and is designed to attract and retain students who have chosen to enroll in an online community. This state-wide program enables a student's home district to offer a full or part-time online curriculum so that the students will have even more opportunities and choices offered to them than they would have if they chose to enroll in an online charter school. This multiple program option is designed to provide school districts the ability to retain students by making available a variety of quality instructional options and, in some instances, reduce district costs. The Ohio Online Learning Program provides districts with more than 250 fully online courses for full-time online students or single course students, and more rigorous credit recovery courses. Click here to be directed to the Ohio Online Learning Program website.